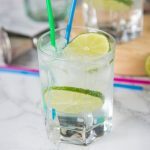 Vodka Soda Recipe – a classic easy to make cocktail that uses La Croix soda water, vodka and a twist of lime. 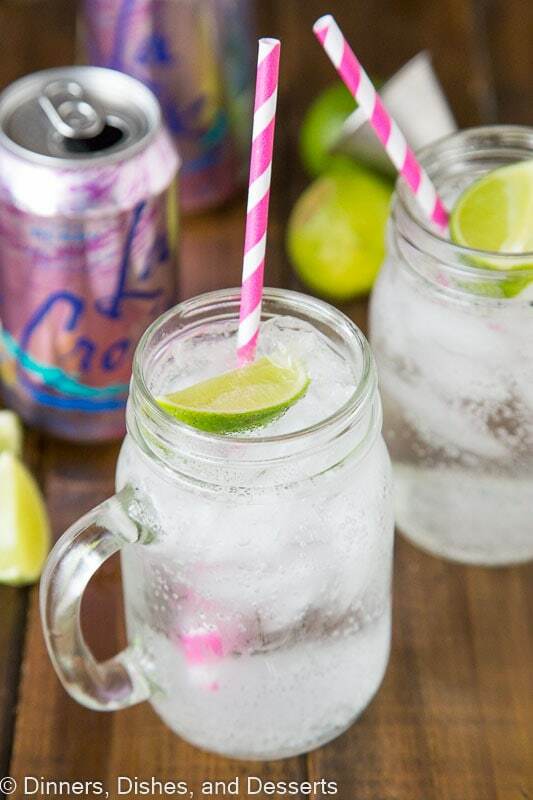 Crisp, refreshing and delicious. 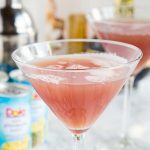 Classic cocktails are a must to know how to make. 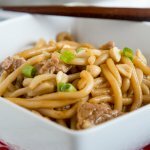 When I am out at a restaurant or bar I know what to order, but I almost never think to make them at home. A vodka cranberry is a perfect example. A bar staple, but how often do you make it at home? Most of the time at home, I open a bottle of wine, but almost never whip up a cocktail. Maybe if I am to the end of a bottle of wine I might make a red wine spritzer. But that is kind of the extent of it. 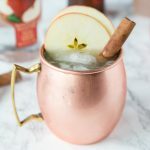 I love creating cocktails for the blog, but I need to make them more often just to enjoy! Aside from a Classic Lime Margarita – that is a staple for taco night! 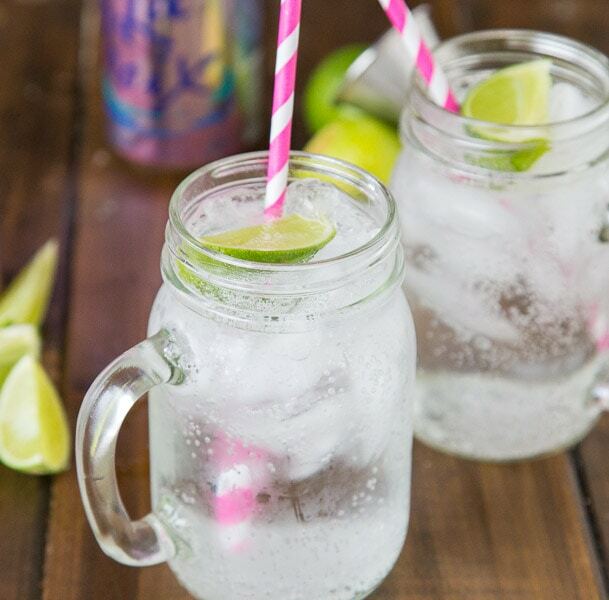 How many calories are in a vodka soda is a common question. It tends to be something people order when they are trying to eat better or go low carb. The good news, is the only calories come from the vodka! Depending on the brand that means about 60-85 calories a serving! Not bad for a cocktail right! How many carbs are in a vodka and soda is another question I hear a lot. The answer is zero. 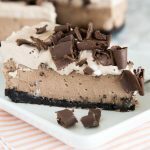 So if you are doing the low carb thing, this is for you! Vodka is pretty low in calories and has zero carbs. So it is a great mixer when you are trying to cut back on calories or carbs. 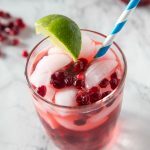 A vodka and soda is a super simple cocktail to make, and since La Croix is super popular right now you can even mix up the flavor a bunch of different ways. 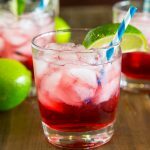 Berry soda with a twist of lime is my favorite version. But you could use lime soda if that is your favorite. Or grapefruit or one of the other million flavors they have out there now. 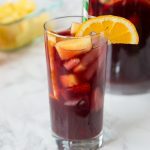 Some drinks make a big pitcher that are really great for parties like this Easy Sangria Recipe. 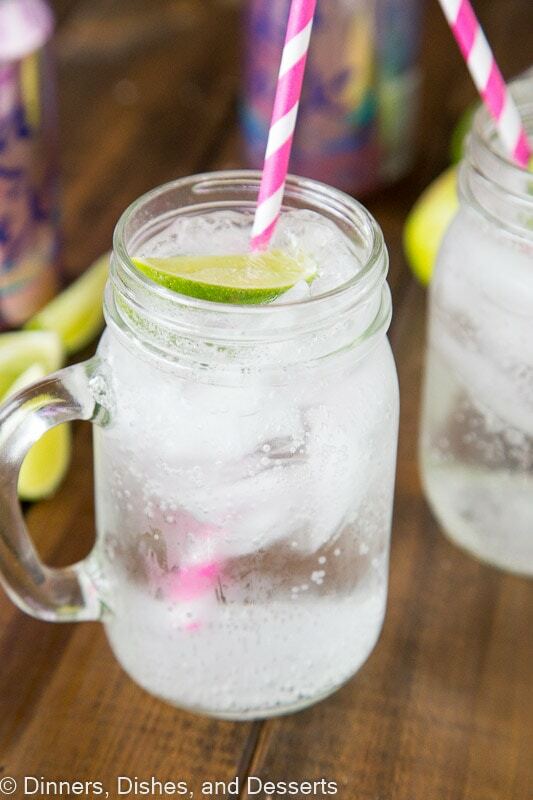 But this Vodka Soda recipe is great for just 1 or 2 glasses. So you don’t have a whole house full of people to enjoy it. I have to thank my friend Cathy from Lemon Tree Dwelling for introducing me to this drink. She made them for us when we were up in Breckenridge for a weekend. So this weekend, break out of your bottle of wine or can of beer habit and try a vodka and soda. 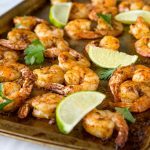 Just 2 ingredients and a wedge of lime is all you need. The lime gives it it just a little extra flavor. But if you don’t have one, that is ok. A lime or orange would be great too! 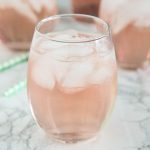 Vodka Soda Recipe - a classic easy to make cocktail that uses La Croix, vodka and a twist of lime. Crisp, refreshing and delicious. I know what I’m drinking tonight! This is such a light and refreshing drink. I love that you can change up the flavors too! 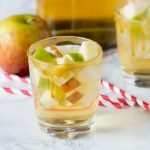 Such a classic cocktail, and I love the mason jar presentation! 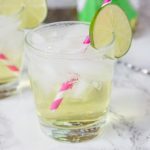 One of my favorite low carb cocktails! 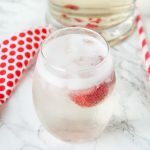 I love that you used LaCroix water in this drink! Sounds so delicious! This looks really refreshing! I can’t wait to try! This is a great weekend sipper! Looks refreshing! 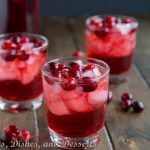 Vodka & cranberry was one of the first drinks I ever had because it was my Dad’s go to. 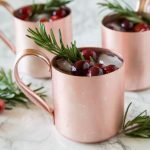 This looks like a great refreshing twist on vodka. Had my attention at vodka! You know I love a good cocktail, girl!